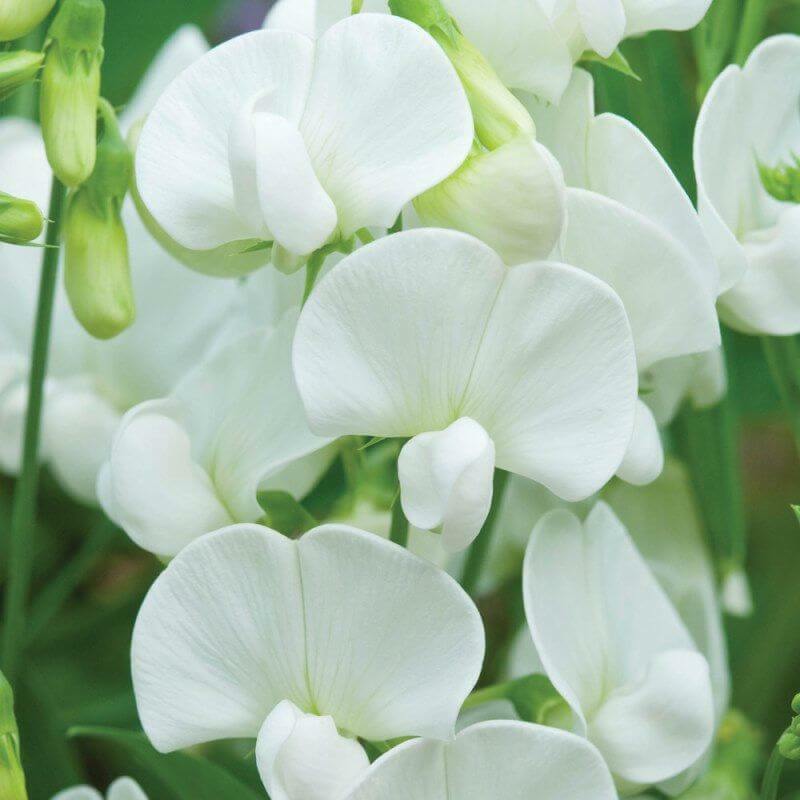 A perennial cousin to the annual Sweet Pea with large clusters of showy white flowers. 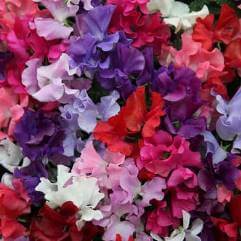 Slightly fragrant. 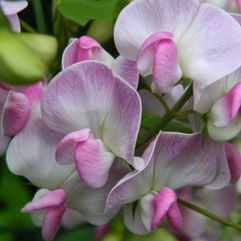 Plants form a sprawling or climbing clump of dark green leaves.